Allow your customers to view invoices and make payments online by clicking a link in their email. This gives your customers the most up-to-date information, including their account history with you. 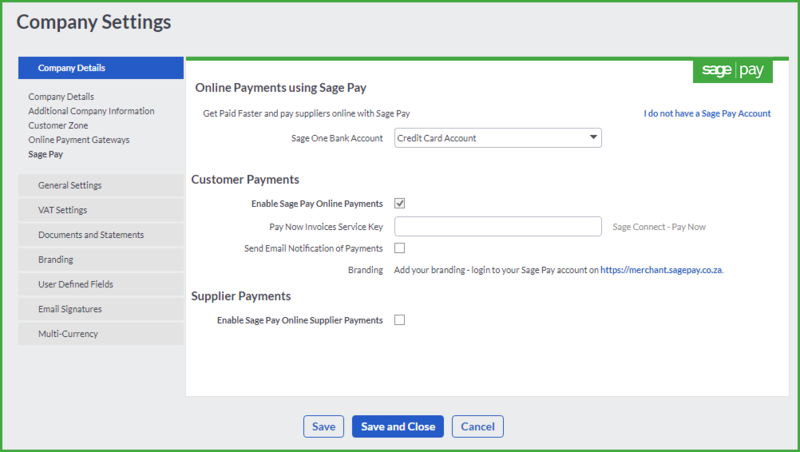 You can get paid faster by using Online Payments by Sage Pay, where your customers can pay you directly from the invoice using the Pay Now button! 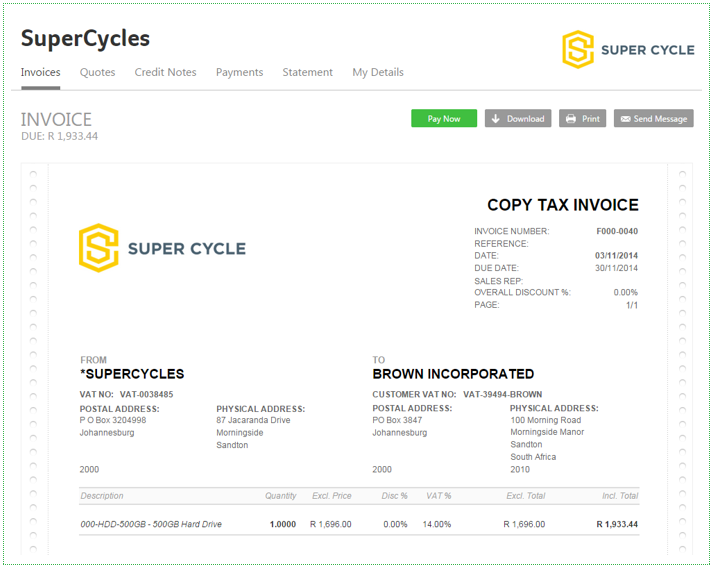 Processing invoices has never been this easy. 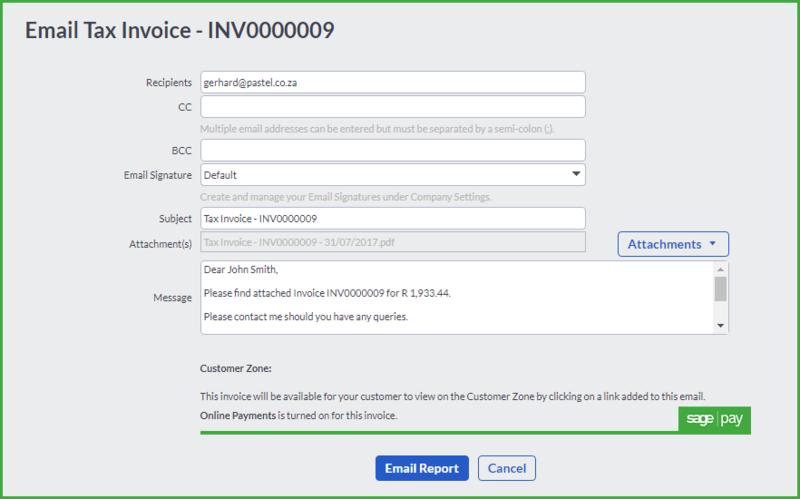 When you process an invoice for a customer, the customer can view their invoice online through the customer zone and make a payment. 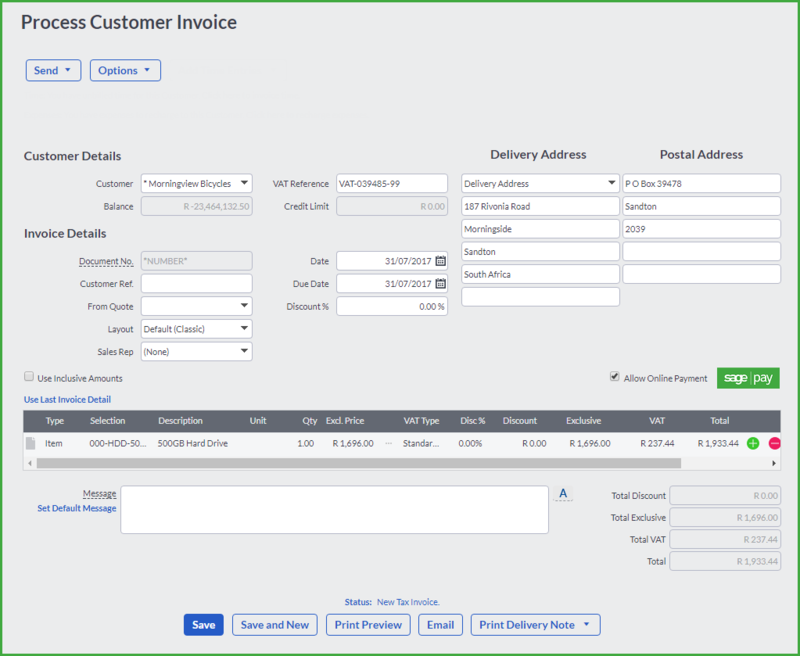 Select the Customers…Transactions…Customer Tax Invoices menu and click on the Add Tax Invoice button. Once all the information is entered, ensure that the “Allow Online Payment” check box is checked. Click on the Email button to email the invoice to the customer. 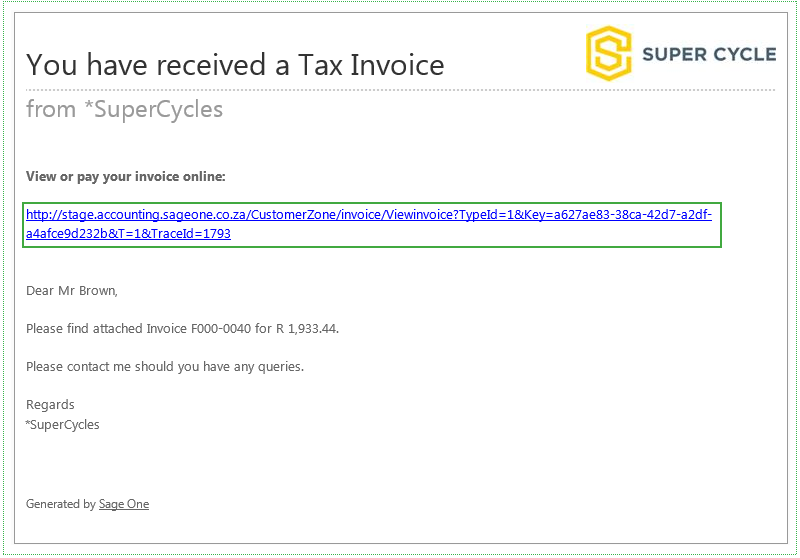 Click on the Email Report button to email the invoice to the customer. In the Customer Zone, the customer can view all their invoices, credit notes, payments made, statements and their contact details. 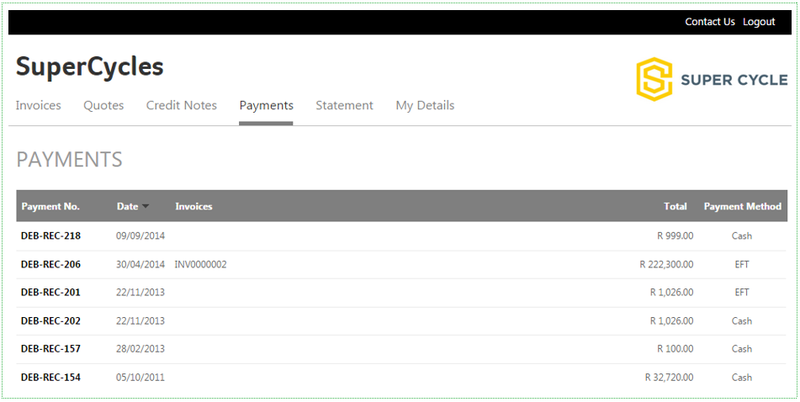 The customer can now make a payment via the Customer Zone by clicking on the Pay Now button at the top of the invoice. If the customer is happy with the amount, they can click on the Pay Now button. 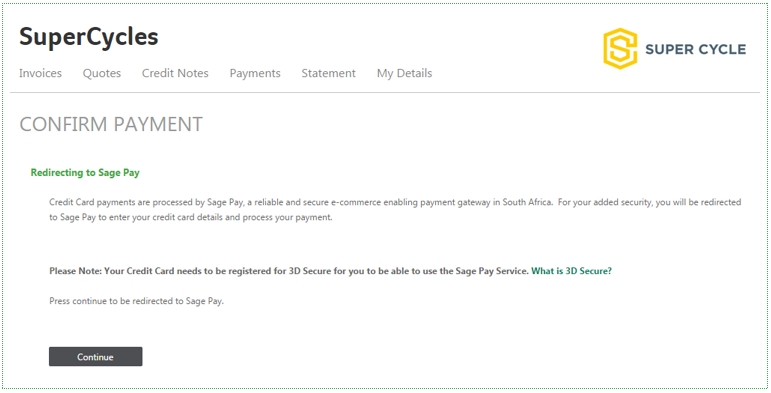 Credit Card payments are processed by Sage Pay, a reliable and secure e-commerce enabling payment gateway in South Africa. 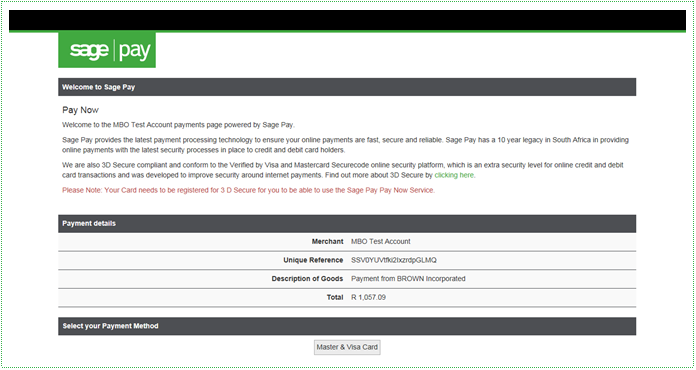 For your added security, you will be redirected to Sage Pay to enter your credit card details and process your payment. Press continue to be redirected to Sage Pay. Enter your Credit Card details. You can also select a Budget Period should you wish to pay off over a period. Click on the submit button. Once the payment went through, a receipt will automatically processed in Accounting and the invoice will be set to paid. Accounting and Sage Pay has created a new online payment portal for your customers and it makes it simpler and easier than to log into your bank to make payment. To set up your online payments, select the Company Settings link at the top of the page. 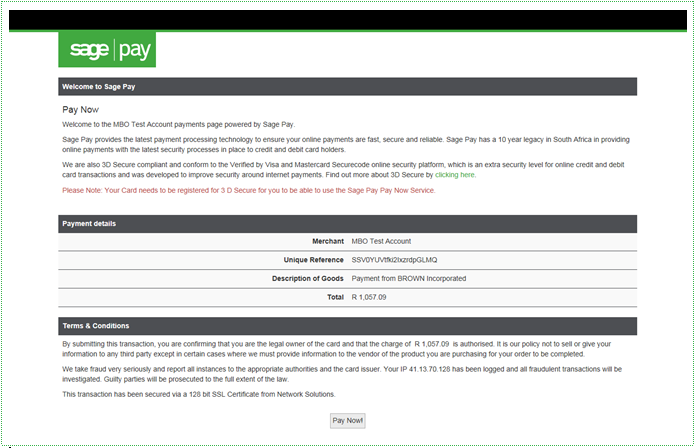 Check the “Enable Sage Pay Online Payments” check box to be able to make payments online. 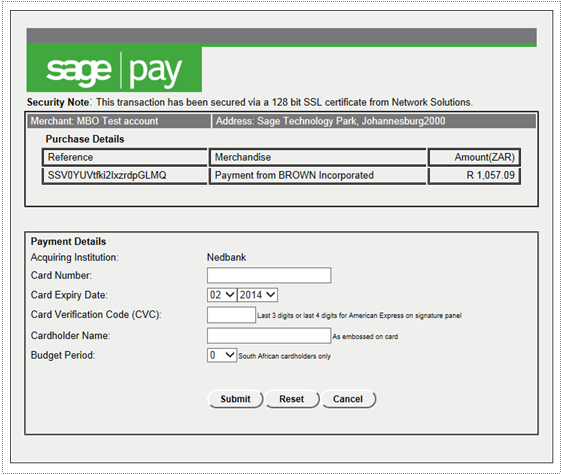 If you do not have a Sage Pay account, select the link next to the check box and a consultant from Sage Pay will contact you. Select your Accounting Bank Account to where the payments must be reflected in. 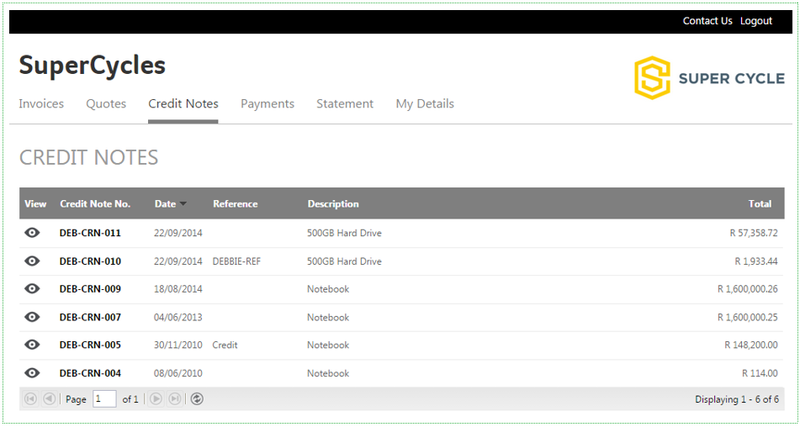 Your Pay Now Invoices Service Key will display in the field. If you want email notifications to be sent, check the check box. 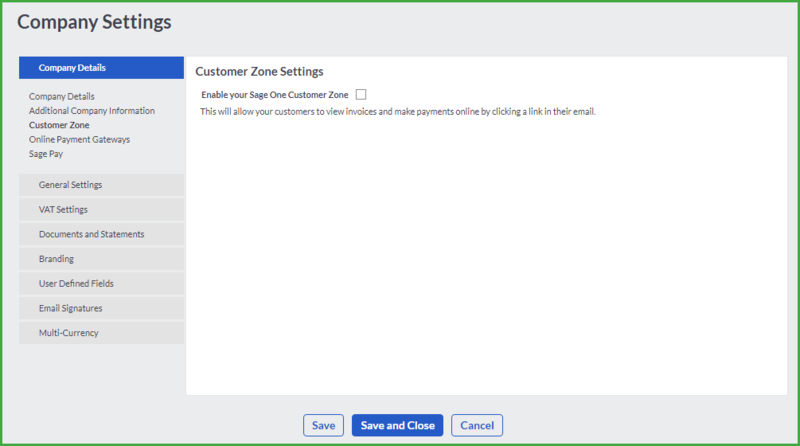 To set up the Customer Zone, you will need to activate the settings in the Company Settings. Click on the Customer Settings link at the top of the page. 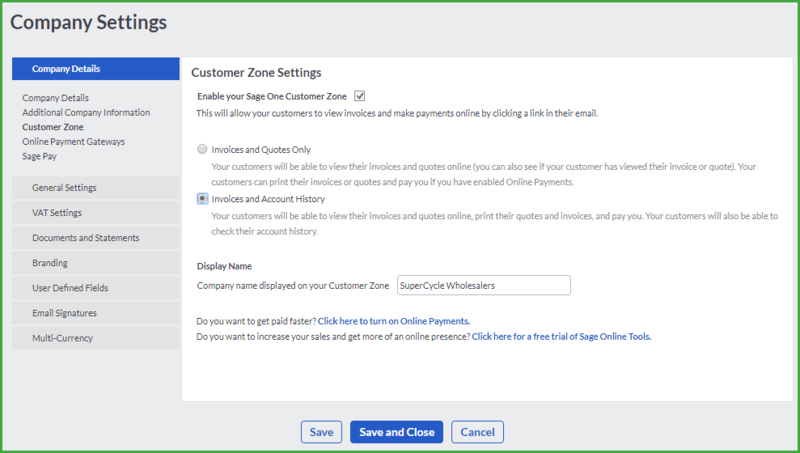 Under the Company Details tab, select the Customer Zone section. 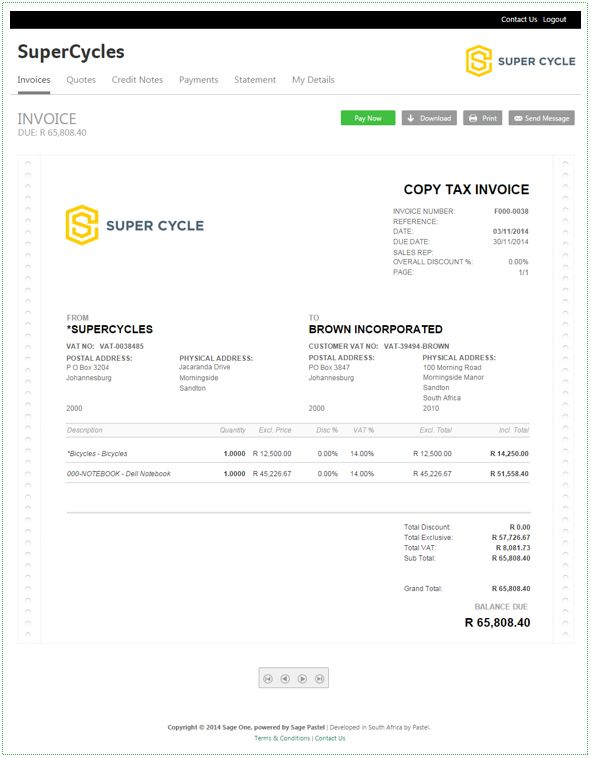 Invoices Only Your customers will be able to view their invoices online (you can also see if your customer has viewed their invoice). 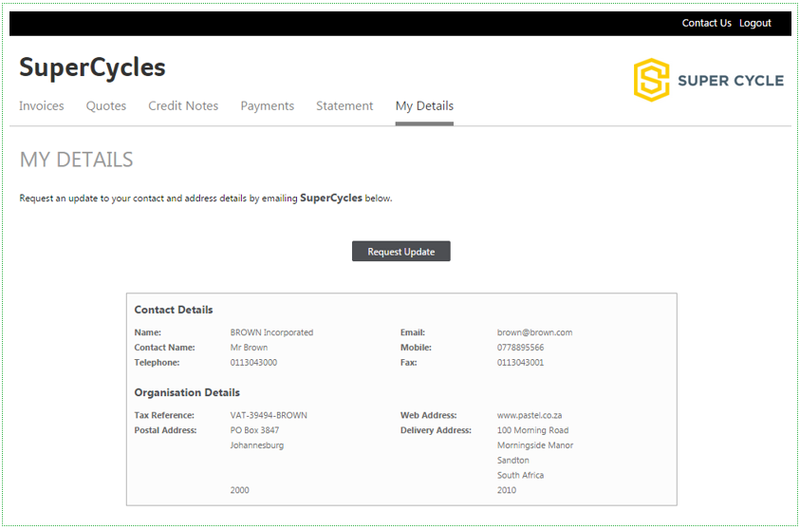 Your customers can print their invoices and pay you if you have enabled Online Payments. 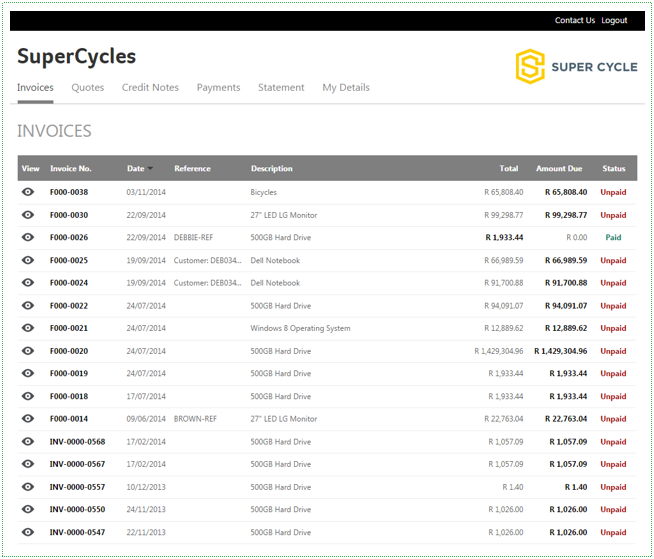 Invoices and Account History Your customers will be able to view their invoices online, print their invoices and pay you. Your customers will also be able to check their account history. You will have to set up your customers so that they would be able to view and make payments online. 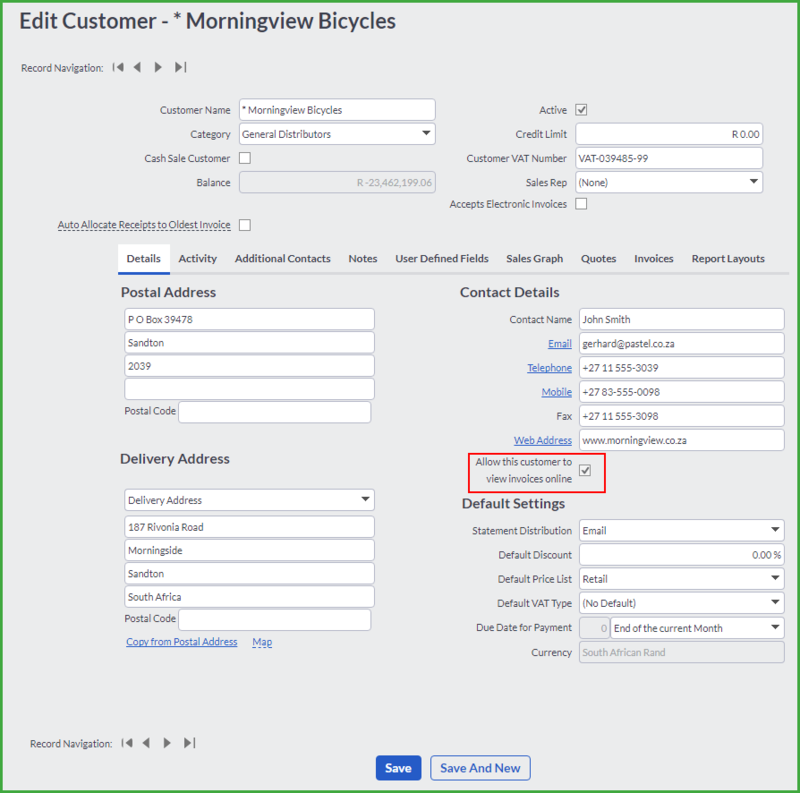 To access this function, go to Customers…Lists…List of Customers and Edit a customer. To allow the customer to view invoices online, check the “Allow this customer to view invoices online” check box. Click on the save button to save the changes. 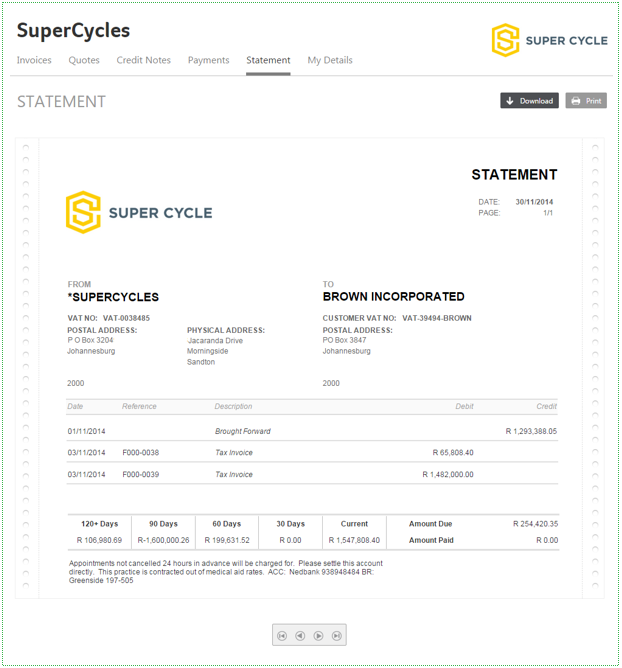 Now, if you will process an invoice and email it to a customer, the customer will be able to make payment online and it will directly display in your receipts.